If I could be any of the princesses, it would obviously be Ariel. Who wouldn't want to swim around with dolphins and Flounder all day? Another great thing about this princess is her color scheme. 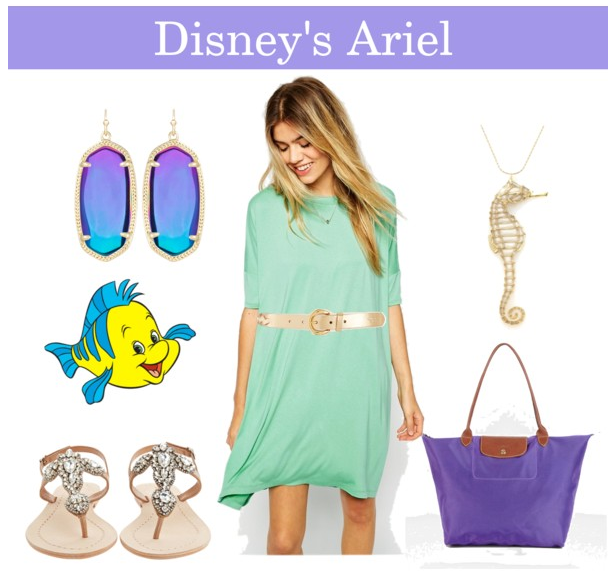 Obviously a clam bra wouldn't be appropriate at Disney, but this sea foam green dress paired with jeweled sandals and a great pair of Kendra Scott earrings is flawless, just like my favorite ginger.